C and M Flooring and Construction, LLC are professionally trained Morgantown flooring experts that can take care of all your construction and home flooring needs. We are a local company who prides itself on customer service, and can provide a unmatched service above and beyond other flooring contractors. 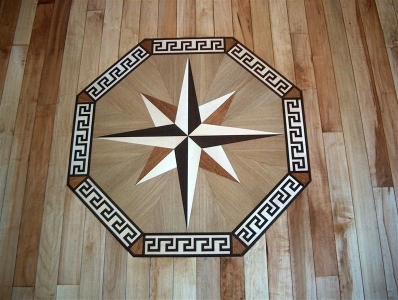 Because of our love of craftsmanship, we are able to restore flooring, trim, and other wood works that most would have thrown out. We are customer oriented and take time with each person to explain what we can do for them and we work with the customer to be sure they know what to expect. Many times we are able to exceed a customer's expectations. We take pride in providing a clean, less intrusive process than many others. We use dust containment systems, low odor and fast dry finishes and we meet deadlines! We take the time to do the tedious work that others very often won't because we believe the small things are just as important as the overall project. In fact, it's the detailwork that makes the difference between a good job and a great one! That's why our customers call us "The Floor Guys". We can install more than just flooring! We install cabinetry, trim, interior doors, stair cases, handrails and just about any finish project.